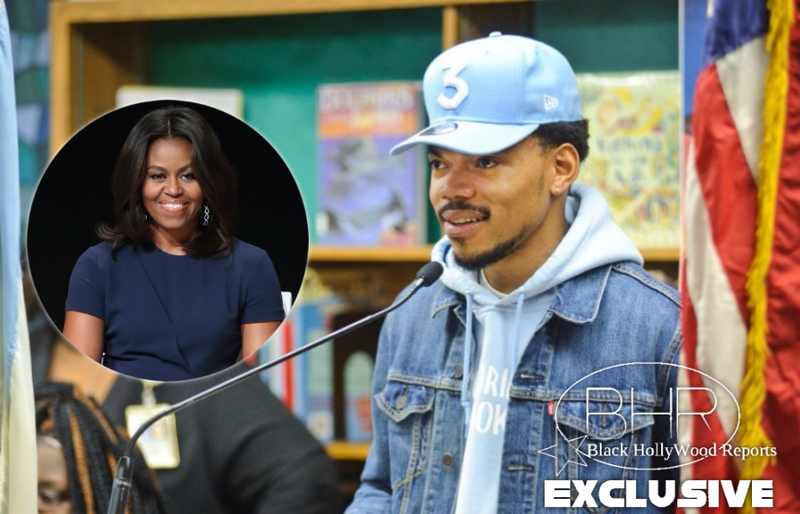 Michelle Obama Thanks Rapper "Chance The Rapper"
BHR Hollywood Reports............Chance the Rapper has donated $1 million to Chicago’s public school system, stoking a long-running debate about the city’s education system and how it is funded. His gift comes at a moment when the city is grappling with a crisis over funding its schools. 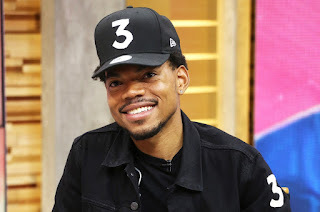 The rapper, who was educated in the Chicago’s public schools, had been a vocal advocate for fixing the budget issues confronting the school system, which is the nation’s third largest, serving over 400,000 students. It is facing a budget deficit that could bring an early end to the school year. Chance met on Friday with Bruce Rauner, Illinois’s Republican governor, to discuss the city’s schools. “Thanks @chancetherapper for giving back to the Chicago community, which gave us so much,” tweeted Michelle Obama last night following Chance’s announcement. “You are an example of the power of arts education.” Michelle, who is herself a native to the Windy City, has always showed love to the mixtape phenom. While The Obamas were still in office, Chance made multiple trips to 1600 Pennsylvania Ave, attending the final State Dinner and performing at the White House Christmas Tree lighting in 2016. Chance’s latest philanthropic effort has the hip-hop world in awe. Fellow Chicago-hailing artists like Lil Bibby and Lil Durk praised Chano online and even older rappers like T.I. and R. Kelly gave a shout out to the Coloring Book MC. 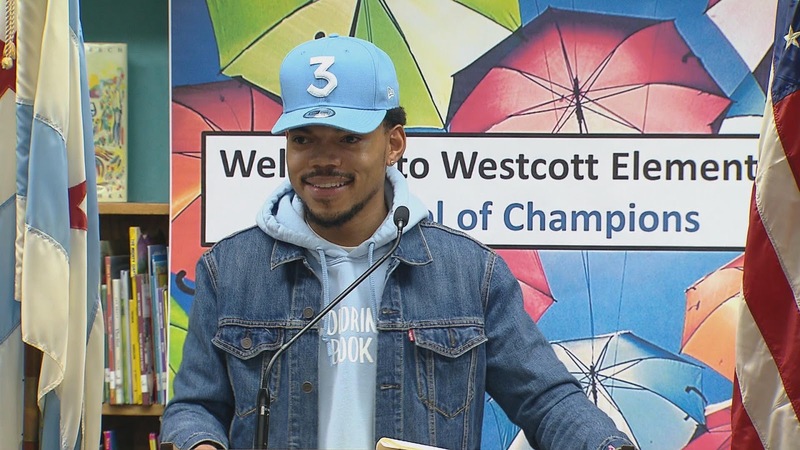 Chance’s pledge came after the rapper had a disappointing meeting with Illinois’ Governor Bruce Rauner this past week. Chance and the governor were supposed to talk about fixing the state’s school systems, but when Chance left the meeting with Rauner on Friday (March 3), he was unimpressed with the “vague answers” the governor gave him. 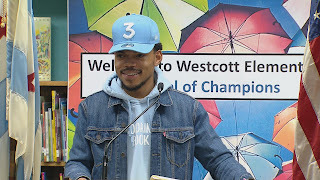 In addition to the million dollars, the “No Problem” rapper pledged that for every $100,000 raised, Social Works [Chance’s not-for-profit organization] will donate $10,000 to one of the most needy public high schools in the Chicago area.